Hailing from Manchester, UK, Brit rockers WU LYF rode the hype wave for the better part of 2011, releasing their debut Go Tell Fire to the Mountain back in June. 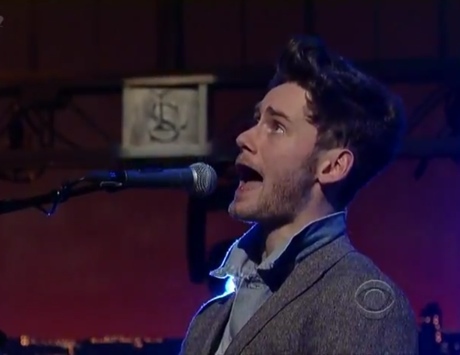 Last night (January 4), the band made their North American television debut, taking to the stage on The Late Show With David Letterman to perform "Heavy Pop" from the aforementioned album. WU LYF deliver a solid performance, though it gets a bit weird at the end with Letterman laughing uncontrollably and the band awkwardly wandering offstage. Check out the performance of "Heavy Pop" below.